We are just days away from the highly anticipated Fishing Opener here in Minnesota. Landing squarely on Mother's Day weekend, we have several reasons to celebrate this weekend. In prepartation for the big weekend, fishermen and women are flocking to their local tackle shop to stock up. 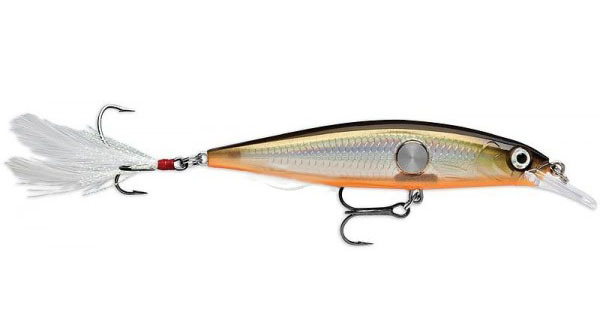 Here is a list of fish slaying gear you should keep your eye out for when you make your run to the store. After 3 years of redesign, the new series of spinning reels from Shimano deliver performance and durability light-years beyond current industry standards. Casting, line management and gear strength all moved to the forefront of the creators thought process. 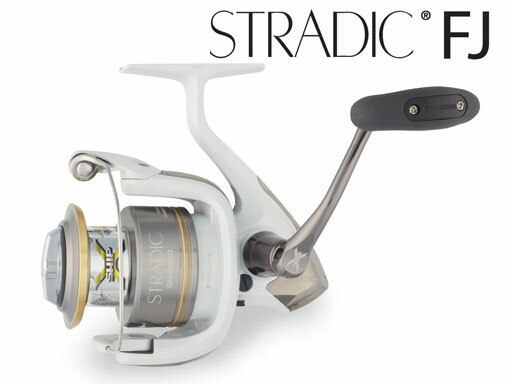 These reels are some of the smoothest cranking, longest casting reels we have ever seen. I can hardly wait to get it loaded up with some line and out chasing Walleyes this weekend. Call the monsters of the deep up from the murky depths with the irresistible sound of the Clackin' Cadence Rattle. The wounded minnow action and life-like paint jobs will fool even the wisest fish. Add a pair of razor sharp VMC treble hooks and nothing is going to spit this beauty out. Available in 13 colors and 3 sizes you will have no problem finding the right combination to fill your livewell. Having a landing net when fishing from a canoe or kayak does more than help you bring in the big daddies, it saves your gear. I can't tell you how many rod tips our crew has broken off fighting to yank a fish over the side of the canoe. 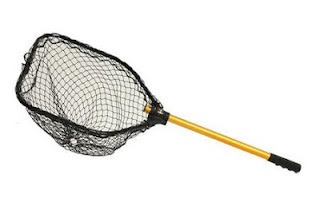 The 20" x 24" basket is large enough to handle most of the fish we catch. Fully collapsed it takes up a space of about 10" x 39" and weighs practically nothing. 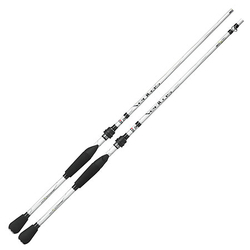 These stark white spinning rods are amazingly light and ridiculously sensitive. You can literally feel the lure moving at the end of your line. The "naked" handle design helps transmit feedback more efficiently. You'd think it would sacrifice comfort, but I have no complaints. By no means last on the list if toughness. These things are rugged, and that will pay off when it's strapped to the gunwale of your canoe on a long portage. Even better is you get all that for under $100, that's less than half the price of most if it's competition. Bringing copious amounts of live bait deep into the heart of Canoe Country is not easy. Just having to carry it is a pain. 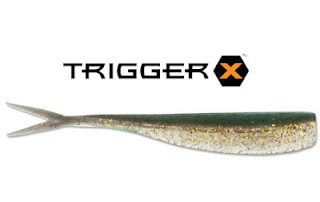 While traditional thinking says that nothing can replace real minnows or leaches in your arsenal, modern artificial plastics beg to differ. These minnows from Trigger X were designed with one fish in mind, the notoriously finicky Walleye. From the life-like movement to the injected pheromones, the fish would have to have a PHD in anatomy to tell the difference.